Isolating a prisoner for more than five days in a process known as administrative segregation is unconstitutional because the system lacks proper safeguards, an Ontario judge ruled Monday. However, Superior Court Justice Frank Marrocco said banning the practice immediately could be disruptive and dangerous, so he suspended his ruling for one year to give Parliament a chance to fix the problem. At issue are sections 31 to 37 of the Corrections and Conditional Release Act, which allow a warden to order administrative segregation when an inmate is at risk of harm from others, or poses a risk to the security of the prison. Inmates spend 22 hours a day in a cell without any meaningful human contact. The provisions require the warden to have the placement decision reviewed within five days of ordering an inmate placed in solitary but only the warden can change the decision. Marrocco said that isn't good enough. "The fifth working day review fails to provide the procedural safeguards required by the principles of fundamental justice," the associate chief justice said in his ruling. "The lack of an independent review means that there is virtually no accountability for the decision to segregate." Correctional services data indicate that in any given year, about 4,500 inmates are placed in administrative segregation — as opposed to those isolated for disciplinary reasons — some more than once, for an average of 24 days. Correctional Service Canada maintains segregation is an appropriate last resort for managing a difficult and dangerous prison population. The Canadian Civil Liberties Association, which maintains that extreme isolation can cause severe psychological harm in as little as two days, challenged the provisions on the grounds that, among other things, they allow a warden to segregate prisoners then leave it to the warden to review his or her decision. In response, the federal government argued that any rights violations were the result of poor implementation of the law, not the law itself. Marrocco disagreed, saying the law is lacking because it does not mandate an effective and independent review of segregation decisions. However, he did accept the government's argument that striking down the provisions immediately could cause serious problems for prison authorities and prisoners alike. 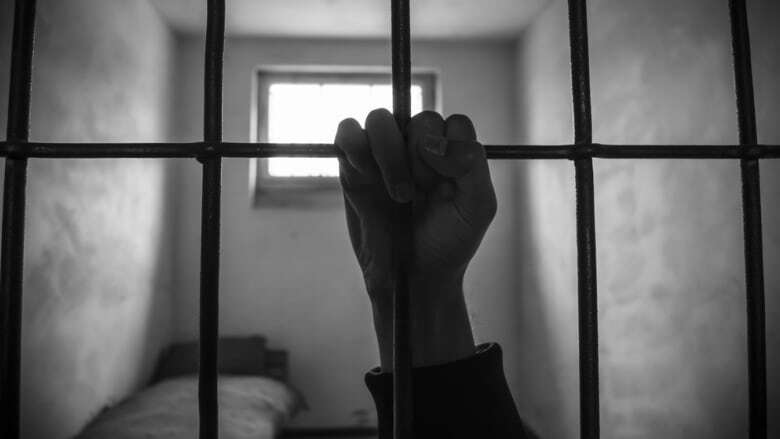 "Prisons are dangerous places and the inability to resort to administrative segregation, without an appropriate timeline to implement changes, creates unacceptable risks for Correctional Service of Canada personnel and inmates," Marrocco noted in his ruling. Given that it is up to Parliament to address the situation, Marrocco said putting his declaration on hold for a year was reasonable time frame to allow that to happen. In his 38-page ruling, Marrocco wrote that isolating inmates was seen as a progressive development when first introduced 200 years ago. The aim was to help rehabilitate inmates and spare them the death penalty or limb amputations. "The idea was that the prisoners would spend their entire day alone, mostly within the confines of their cells, and reflect on their transgressions," Marrocco said. "(But) I am satisfied that there is no serious question the practice of keeping an inmate in administrative segregation for a prolonged period is harmful and offside responsible medical opinion." Nevertheless, Marrocco did find administrative segregation itself to be constitutional, even when applied to inmates aged 18 to 21 or the mentally ill. He rejected association arguments that the practice amounts to punishing a prisoner twice or to cruel and unusual punishment. The justice also refused to declare placement in segregation for more than 15 days to be unconstitutional, saying proper monitoring of an inmate by a health professional is "sufficient to negate the potential cruelty of indefinite segregation." The justice also rejected Canada's arguments that segregation does not violate international norms in part because prisoners get to interact with the guards. "I am not persuaded by the evidence that this type of contact is 'meaningful'," Marrocco wrote. "Placing an inmate in administrative segregation imposes a psychological stress, quite capable of producing serious permanent observable negative mental health effects." The federal government did not immediately respond to a request for comment on the ruling.